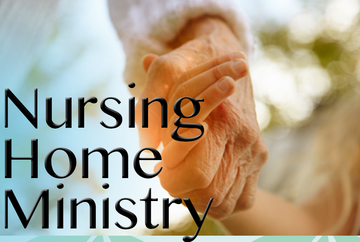 Mission Statement: To spread the love and message of God in the nursing home environment, while providing support and encouragement to the elderly. Becoming a part of this ministry enables you to be a part of the life-giving miracle that comes through sharing God’s love and word. This is an opportunity to serve, unselfishly give, and an act of agape love exemplified by Jesus’ compassion for those who are suffering. Whatever your particular gift is, you will find an opportunity to use it with these dear people. The needs are so great. If you have a hunger to do God’s will and a genuine care for the elderly, help us to bring church to those who can no longer go to church. 1st Saturday of every month from 11:00 am - 12:00 pm. All ages are welcome! Please contact Sister Linda Starks. You can make such a difference with your visits!